Chris D’Elia came to many people’s attention just a few years back when he appeared on the 2015 Comedy Central Roast of Justin Bieber. He was personally invited to take part by Justin Bieber himself, as D’Elia is Bieber’s “favourite comedian” (don’t hold that against him). D’Elia is anything but an overnight sensation; he has been performing stand-up comedy for over a decade, and has really hit his stride, with two Netflix specials in the last two years, and showing no signs of slowing. So, when word got out this rising star was headed to Perth, there was no doubt the show would be a hot ticket event. The Octagon Theatre at UWA is a great venue for comedy, and the sold-out crowd was pumped as the bonus support act, comedian Sian Choyce, took the stage and quickly won the crowd over. Sian had the audience laughing out loud from the start; she delivered great jokes and set the bar for a fun night. Immediately after, the international guest Chris D’Elia took the stage to a huge ovation, and the rowdy Perth locals were clearly excited to see him live and in person. Chris, with his trademark swagger, delivered over an hour of jokes, starting with his observations about Perth, “you built the convention centre the wrong way around, it’s supposed to face the river, and you built it the wrong way. I have friends back in America who always say ‘Australians are upside down, they read backwards’ and this isn’t helping my argument”. Clearly most of the crowd were big fans from the get-go; however those who weren’t were quickly won over with his commentary on how long it takes to fly to Australia from America: “It takes more than 14 hours. I slept twice on the flight, and when I woke up, I still had all the rest of the time before I got here”. D’Elia drew huge laughs throughout the show with his physical comedy, facial expressions and myriad of voices. Most notably, while drawing comparison between adorable Australian possums, and evil, food-stealing American possums, and a memorable encounter with his two dogs. D’Elia also hit on popular topics like Game of Thrones: “The worst thing about not watching Game of Thrones, is having to see that look on people’s faces when I tell them, ‘I don’t watch Game of Thrones’”. He had a real knack for making his comedy seem effortless and off-the-cuff, and it appeared he was genuinely having as much fun telling the jokes as the audience had watching him. 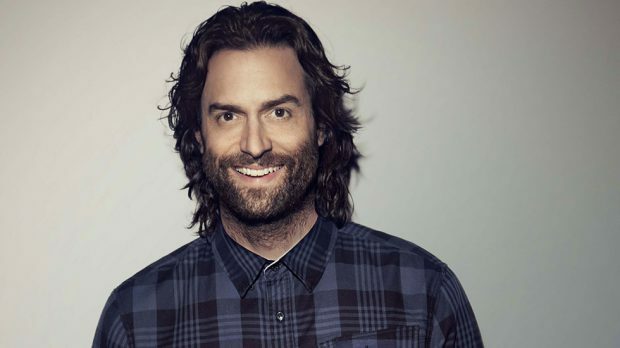 After entertaining a sold-out crowd for more than an hour, we can only hope Chris D’Elia endures the painfully long flight to Perth to perform again soon.